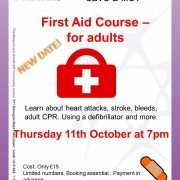 Due to the high demand we’ve set up a new date for the First Aid Course for adults. 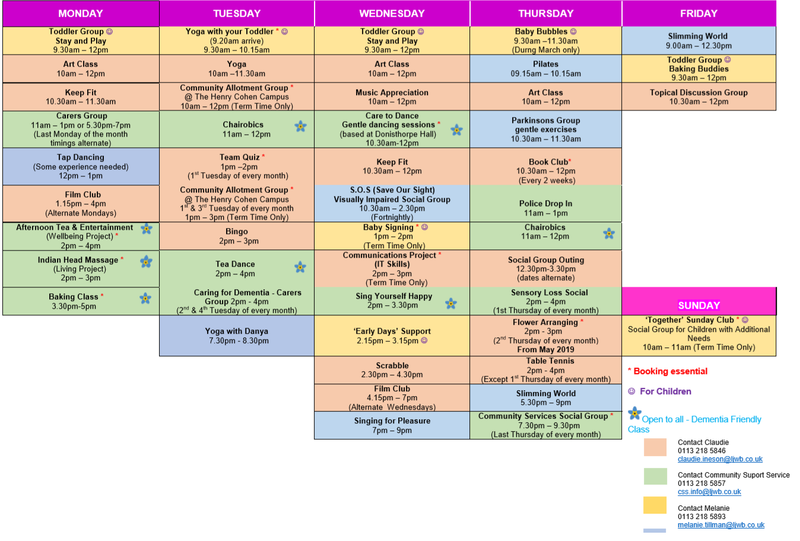 Learn about heart attacks, stroke, bleeds, adult CPR. 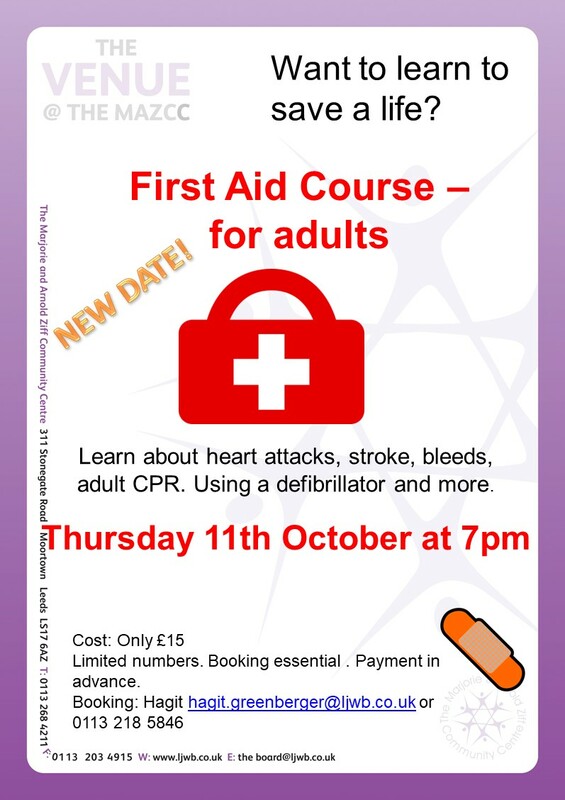 Using a defibrillator and more. Limited numbers. Booking essential . Payment in advance.